We recycle your dental products! 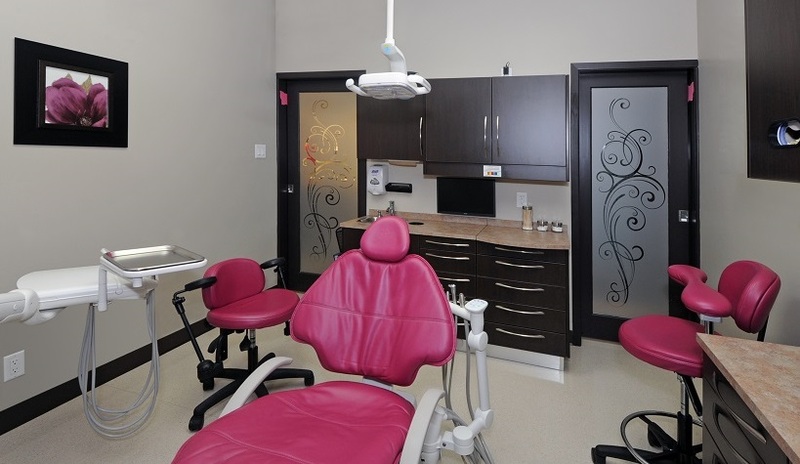 At the Centre Dentaire Dre Audrey Caron, we offer a multitude of dental services for the whole family. Choose one of the services to find out more. Please note that the following information is presented in a general way, and we recommend that you consult your dentist for specific information related to your personal treatment. Dental exams are the basis of an accurate diagnosis. Whether a complete exam, a check-up or an emergency, your dentist will begin here to diagnose the situation and suggest a treatment plan suited to your needs. Your dentist will gather information about your symptoms, conduct a visual and a tactile exam, followed by an X-ray and any other necessary tests. You will be a great help to your dentist by paying particular attention to your symptoms and by describing them as clearly as possible. Dental X-rays are an important complement to a dental exam as they identify cavities between teeth; they can uncover an abscess, a cyst or even a tumor! X-rays allow the dentist to evaluate bone level and the progression of gum disease as well as monitor tooth and jaw growth and development. We are proud to now offer you completely digital X-ray examinations. This new technology offers the best quality in dental imaging, allowing us for better diagnosis. It also allows us to greatly lower the amount of radiation you are exposed to, when compared to traditional methods. Also known as "laughing gas", nitrous oxide has been used by dentists for many years to relieve anxiety. Once inhaled, you will feel a sense of calmness wash over you almost immediately. But don't worry, the effects dissipate as soon as gas flow is stopped. You will feel relaxed but awake during a procedure, which allows for an agreeable experience. You can partake in regular activities immediately following this safe procedure, as it is the best treatment if you are afraid of dental procedures or if your children need to have several interventions. Regular dental cleanings help prevent gum disease as these treatments get rid of plaque and tartar build-ups from areas that are difficult to reach for you. Your hygienist will take this opportunity to give you useful advice so that you can keep optimal dental health between visits. Topical Application of Fluoride : Generally applied following a cleaning, this treatment involves applying a high-level of fluoride to teeth over a short period of time. The fluoride penetrates the enamel, which strengthens it resulting in teeth that are less prone to cavities. Pits and Fissure Sealants: Molars have grooves on their chewing surface. These grooves may have a very complex anatomy : they can be so deep that they may be impossible to clean and this, on a young and immature tooth, can quickly degenerate into a cavity. So, when your child gets his/her first permanent molars around 6 years of age, we will recommend that a sealant be applied to protect these teeth from cavities. Periodontitis is an inflammatory disease that affects tissues that support the teeth: the gums and the bone. Periodontitis, also known as gum disease, is caused by a multitude of factors. The most common are plaque and tartar build-ups. This non-symptomatic and non-painful disease slowly destroys the tissues that support the teeth. Treatments eliminate plaque and tartar build-ups in hard-to-reach areas and they also help prevent future flare-ups. This widespread disease can result in tooth loss if not properly treated. If a cavity has heavily invaded a tooth or if one of its nerves is infected, a dentist will need to perform a root canal in order to save the tooth. The dentist will empty and clean the nerve cavity, then seal the space with a rubber-like substance. The tooth will therefore be weakened, so the dentist will recommend restoring it with a crown. Root canals get a bad rep, but are generally painless, similar to getting a filling. A root canal just takes a little more time to perform. Other circumstances that require a root canal: an abscess, a crack or lesion that affects the nerve, a broken tooth, tooth trauma or the need to get retention in the root cavity of a very destroyed tooth. A crown is generally made of metal, porcelain or a combination of both. It is a restorative oral prosthesis shaped to look like a real tooth. The crown is cemented to the portion of the tooth situated above the gum. Because it is made of one piece of solid material, it is very durable. Crowns are needed to protect a weakened tooth following an accident or several treatments in the past, or on a tooth that has previously undergone a root canal. A bridge is used to replace a missing tooth. A Maryland Bridge consists of a suspended tooth or pontic (that replaces the missing tooth) that is supported by metal bands cemented on the adjacent teeth. This bridge is less solid than the traditional one, as it can become unglued. The traditional Bridge consists of a pontic fused to two crowns that are placed on both adjacent teeth. It remains solid and is recommended for use on already weakened teeth. Tooth Whitening is a safe procedure, consisting of a peroxide base gel that lightens any discolouration on the enamel of teeth. We suggest home bleaching, under your dentist's supervision, which will ensure the safest procedure possible and the best long-term results. Teeth grinding, or bruxism, is a common problem for many people. This nightly activity not only wears teeth prematurely, it is also taxing on jaw muscles, which can cause severe headaches. The bite splint is an acrylic tray worn during the night that protects your teeth against the wearing effect of grinding and distributes more evenly the forces generated by it. In some cases, it can even prevent you from grinding your teeth altogether and is a very useful apparatus. For people who play sports, the mouth guard is, if not mandatory, highly recommended. Not only does it protect teeth from damage or fractures, it can also reduce the impact of concussions. Affordable, our mouth guards are custom-made in a short time frame. If you are missing some or all of your teeth, a denture can help restore your chewing ability. Our dentures are made by a dentist who makes sure to get them to fit optimally to your mouth. We also make sure that your denture is supported by teeth that are strong enough, so you can enjoy a comfortable denture as long as possible. The gum surrounding your teeth is sometimes thin and weak, leading to gum recession. This might become a problem as the roots of your teeth might wear very fast (abrasion), become sensitive to cold, hot and sweets (dentin hypersensitivity) and even decay more easily (root cavities). To prevent gum recession, we sometimes need to perform a free gingival graft to thicken the fragile gum, or, when the gum has already receded, to a connective tissue graft to try to cover the exposed root. In both cases, a small piece of gum is taken from the palate and then repositioned to the affected area with the most appropriate technique for the situation. It is a minor surgery, performed under local anesthesia, which is very comfortable for the patient and well tolerated, as it prevents further problems. LASERs have been used in the medical field for years for their many applications. Our diode LASER can be used for soft tissue surgeries such as frenectomies, operculectomies, gingivectomies or gingivoplasties, removal of fibromas and more. Even more, this LASER allows us to treat sensitive teeth (dentin hypersensitivity), aphtous ulcers as well as the most dreaded cold sore (herpes). It can also be used for gum disease treatments. Using a LASER has many advantages: no need of anesthetics for some procedures, little or no bleeding and much faster and less painful healing due to the biostimulation of the treated tissues. You wake up in the morning with this typical tingling on your lip, telling you that your good old friend Cold Sore is coming to visit you and ruin your life for the next 10 days? You mouth is the victim of a ridiculously small aphtous ulcer which is causing you tremendous pain? We can help you! A fast and pain free LASER treatment can instantly stop the pain of your ulcer and greatly promote its healing time. A cold sore, when treated at the first sign of tingling, won’t develop. If it is treated at the very beginning (first bubbles), it won’t develop any further, pain will be stopped and it will heal much faster. Even better: a cold sore will appear less frequently and less aggressively in a previously LASER treated area. At the Centre Dentaire Dre Audrey Caron, we truly have at heart the dental health of your little ones. Because we believe that prevention is the key, we invite you to bring us your little ones as soon as they grow their first tooth, or, before their first birthday. We will discuss your habits at home, give you tips and tricks to take care of your baby’s teeth, make a first visual exam and detect potential problems (Yes, babies can have cavities! ), make a fist fluoride application if you wish, as well as getting your child more familiar to our world. This first visit is entirely covered by the RAMQ (except for the fluoride application) and might save you child future treatments as we will provide you all the information you need to take good care of your baby’s teeth. These procedures help improve the look of your teeth and smile. Whether it be composite (white fillings) restaurations, closing spaces between teeth, teeth whitening or porcelain veneers, we will take the time to discuss your needs and suggest options that will give you a perfect smile.